The inverter is the “brain” of a solar array. It not only converts the electricity from direct current (DC) from the solar panel to alternating current (AC), but records energy production, communicates with the internet, and optimizes energy harvesting. Since the inverter is such a critical component, careful selection is imperative to maximize energy harvesting, reliability, and longevity. 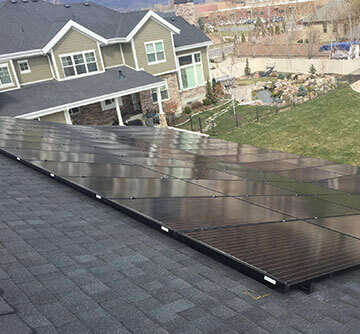 We have many reasons for choosing Enphase microinverters over a traditional string inverter, especially in the Utah solar energy market. Efficiency, shading, modular design, snow, safety and no single failure point are all benefits we will explore. Efficiency – When comparing inverters, many people will immediately compare the CEC efficiency (California Energy Commission) of an inverter and make all decisions based on which has the highest efficiency rating. Although this is a good measuring tool for the inverter itself, inverting DC to AC power on a panel by panel basis will inherently bring increases in efficiency and CEC efficiency does not compare the efficiency of the entire array. Currently, the Enphase M250 microinverter is the most efficient microinverter on the market, at 96.5% efficiency. Where is the extra 3.5% efficiency going? Heat. During the heat of the summer, panels and inverters operate less efficiently. After you install a solar array, you will notice that the highest producing days are when it is cool outside but with longer, sunnier days. For Utah, this is the early spring, most noticeably April and May. Shading – Shading occurs when nearby objects cast shadows on the panel causing drops in energy harvesting. The most common forms of shading are trees, neighboring homes, telephone poles, antennas, satellite dishes, plumbing vents, chimneys, etc. Some of these can be mitigated- trees can be trimmed, panels can be properly located, vents relocated – but moving the neighbors house or a brick chimney is generally not feasible. This is another situation where a microinverter will increase array efficiency over a traditional string inverter. Modular – Microinverters are connected with a proprietary “trunk” cable. If the cable is not maxed out, panels can be added in the future without modifying the electrical wiring significantly. This allows future expansion with relative ease. 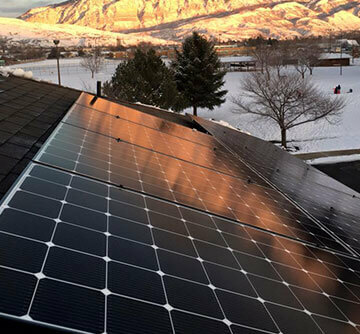 Snow – In the Utah solar market and throughout many parts of the country, snow will negatively impact energy generation. 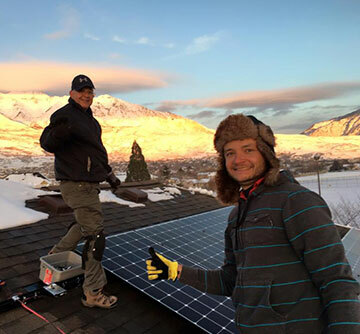 However, with microinverters connected, panels will begin producing electricity the second when the snow slides off each panel, rather than waiting for snow to slide off the entire array. During the notorious Utah inversion season, this can be a substantial amount of power as the temperature sits below freezing for weeks on end, potentially freezing snow to panels. Every last bit of power helps and the Enphase microinverter is king at squeezing every bit of power out. Safety – Microinverters are also safer than traditional string inverters. When wiring string inverters, solar panels are live, outputting high voltage DC electricity. Enphase microinverters are programmed to not turn on until they have detected the electrical grid for 5 minutes and shut down immediately after the grid is no longer detected. This means that installers and power company employees are much safer during installation and any potential future maintenance. No single point of failure – Due to the way that microinverters are wired, if one were to fail, all other microinverters would continue to operate normally meaning a minimal loss of energy production. On the flip side, in a traditional string inverter topology, if the inverter were to fail the entire array goes down. And on top of that, Enphase offers a 25 year warranty on their products to give additional peace of mind. Monitoring – Enphase microinverters communicate to the internet through the Enphase Envoy communications gateway. This allows you to check production via any internet connected device and know exactly how much power the solar array is producing. 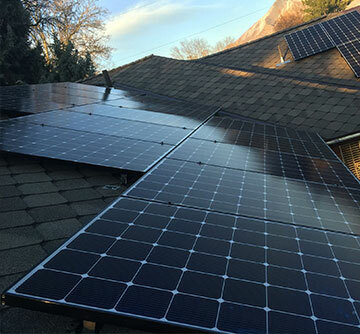 Check out one of our recent Utah installations monitoring data HERE. At Redstone Solar, we love using the best products available on the solar market and are proud to install Enphase Energy products. 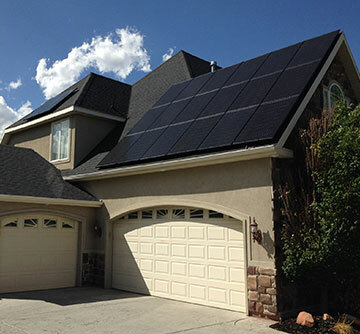 We look forward to installing Enphase microinverters on your home! Give us a call today to learn more and get a free consultation.